Where To Get Products To Sell As An Affiliate? Products to find to sell are not that hard these days. There are many companies that marketers use to list their products for affiliates to sell for them. They pay a % of the sales and it easier for them to increase their SALES by sharing the PROFITS with other people. The affiliate marketing industry is huge and many people have completely set their financial future with an Online Income For Life. Below I have added some of the Market Places from where you can get approved to sell products from the developers for your internet business. To be approved by some vendors you may need a website and you can make a start there by using my Number 1 recommended training program at Wealthy Affiliate. As well as making a website, setting up you internet business with first class training you will become an instant affiliate of Wealthy Affiliate as soon as you sign up for free. JVZoo has been a long standing market place where many top product developer vendors have gone to list their products. The range is huge and is very suitable for all internet marketers. JVZoo offer a free generic training program that shows you how to market and sell their listed products. 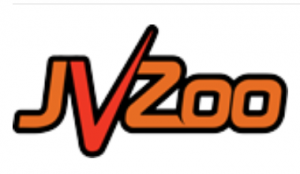 Many vendors use JVZoo to launch their new products as they know they can get great exposure. A number 1 choice of many internet marketers. It’s free to join. Pay Kick Start is a new market place platform which list many new internet marketing products. It is free to sign up and you are able to promote the Pay Kick Start platform to new vendors and affiliate marketers. They have great training resources to help with your marketing and many seasoned marketers are sing the praise of this new company. 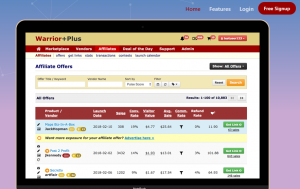 Warrior Plus is another well known market place platform where you can sign up for free and request to become an affiliate of vendors products. They also have a forum where you are able to promote products that you wish the sell. Many vendors are members of different platform market places so that they can have better exposure to more affiliates selling their products for them. ClickBank is probably one of the oldest affiliate internet marketing market places. Click Bank offers many digital products like ebooks that are easily deliverable to customers. Many product developers use Click Bank in conjunction with other market places like JVZoo, Pay Kick Start (new) and Warrior Plus. Many affiliate marketers are members of all the above so that they have a large range of products that they can chose from to promote. It’s free to join. Share A Sale offers many different affiliate marketing companies that are not only digital products. 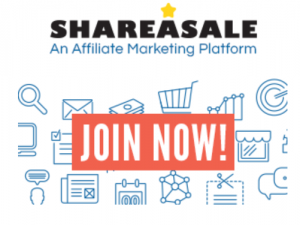 Share A Sale has strength in helping offline businesses and companies find affiliates to sell and promote not only their businesses but also the physical products that they produce. Sign up is free and you are also able to promote the Share A Sale platform to earn an income as well. Highly recommended. I am sure that you have heard of Amazon. But did you know that you can join Amazon Associates and promote their products and earn a commission for doing so. There are many Amazon store out in internet land and many people are earning great incomes from their store. I will recommend one over at my E-Commerce products page. I highly recommend an Amazon Associates Complete Guide book that teachers and trains you how to promote with Amazon as well. These are just a few that I use and I belong to all of these recommendations. The plan with affiliate marketing is to promote as many good quality products from many different market areas. Using an umbrella of products with correct marketing strategies gives a wide range of income earning possibilities for your future.